Ranbir Kapoor is a famous actor of the Indian Film Industry. Awards: Filmfare Best Actor awards for the 2011 Rockstar, and the 2012 deaf-mute comedy-drama Barfi! 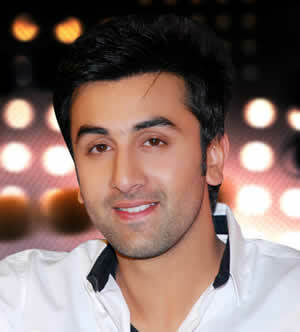 Ranbir Kapoor was born on 28 September 1982 in Mumbai, Maharashtra. The hot and the coolest dude in Bollywood, Ranbir Kapoor fit into the great grand Kapoors family; grandfather Raj Kapoor, father Rishi Kapoor, mother Neetu Singh, and cousin sisters Kareena Kapoor and Karishma Kapoor. Though he was born in Mumbai and studied at Bombay Scottish School in Mumbai, he went to New York at the Lee Strasberg Theatre and Film Institue to learn the new and different method of acting. Ranbir Kapoor basically started his career by assisting director Sanjay Leela Bhansali, and later made his acting debut with the director’s film ‘Saawariya’ in 2007. The fourth generation Kapoor has already established that he does belong to the first family of Bollywood, with wide-ranging performance in films from Saawariya to Rockstar. In the starting of his career, his parents were his biggest support. During the promotions of the movie, Bachna Ae Haseeno, Ranbir Kapoor began a romantic relationship with Deepika Padukone, and was ready to marry her. But due to no reason, he dropped his plan and decided to move on with his filmy career. Ranbir Kapoor is the one man who’s been linked to almost all the leading ladies he has worked with. From his Saawariya co-star Sonam Kapoor to his Rockstar co-star Nargis Fakhri. The Economic Times has credited Ranbir Kapoor as “the most bankable actor of his generation.” He is one of the most talented actors of our time. He is disciplined as an actor, too. Ranbir is ambitious but it is the ambition for excellence not for stardom. Notably, he doesn't care about money at all. He craved stardom not to earn money but to be recognized as a good actor. He is a gentleman star and always stands for his directors. Presently, he is an idol for many as well. A fun fact is that he still takes pocket money from his mother, as is his duty every week.